Patricia A. Fedel, 65, of Parkway Court in Port Washington, died Wednesday, July 21, 2004 at Heritage Nursing and Rehabilitation Center in Port Washington. She had been battling cancer. She was born in Milwaukee, Wisconsin, the only child of Herbert and Grace Popper Pittenger on June 1, 1939. Pat met Robert L. Fedel of West Allis, Wisconsin and they were married April 8, 1957 in Milwaukee. In the early 1970’s they moved to Port Washington where she worked as a nurses assistant at St. Alphonsus Hospital. In 1992 they retired to Eagle River, Wisconsin. Robert preceded her in death December 27, 1999. She then moved to Pelican Lake, Wisconsin and returned to Port Washington just last year. She was a great cook and cooked for the family get togethers. 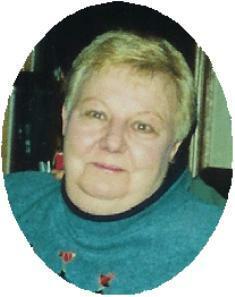 Pat was a wonderful grandma and loved the outdoors and animals. She also enjoyed trips to the casinos. She is survived by her three sons Mike (Sue) Fedel, Jim (Deb) Fedel both of Port Washington and Rick (Renee) Fedel of Pelican Lake, Wisconsin. She was a pround grandma of David, Amy, Samantha, Kelly, Sam and Dylan. Further survived by brother-in-law Ermen “Chic” (Mary) Fedel of California, other relatives and friends. Funeral services for Pat will be held 6 PM Sunday, July 25 at the funeral home. Rev. Mike Dineen from St. Peter Of Alcantara Catholic Church will officiate. Cremation with final interment at a later date. Visitation from 4 – 6 pm Sunday at the funeral home.